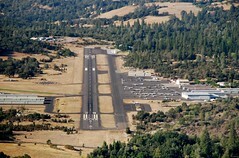 You are currently browsing the Santa Cruz Flying Club blog archives for June, 2011. Santa Cruz Flying Club is actively looking for CFI’s at this time. We’re looking for instructors interested in teaching in our single engine aircraft (C172) and our students are typically training for Private, Instrument and Commercial certificates, as well as existing pilots needing Biennial Flight Reviews (BFR) and Instrument Proficiency Checks (IPC). You would be working as an independent contractor at the Santa Cruz Flying Club, typical instructor rates are $50/hour and instructors are paid directly by the students in most cases. We do have instructor membership dues of $120/month which gives you access to the club, classroom space, simulator, scheduler and aircraft. As prospective students call the club office they are passed along to the various flight instructors based on their schedule and availability. If you would like to inquire for more information or if you have any questions please contact the Santa Cruz Flying Club at 831-722-4580 or via email at scfcmgr@scfc.org. Additional information about the club can be found at https://scfc.org. We stepped out into the warm 82 degree sunshine and the distinct smell of pine trees and moist summer soil in the air. We spent about 3 hours exploring the town, rich in gold fever history, had lunch in the local saloon, complete with Sarsaparilla, and an ice cream before heading for home. Overall, a great way to spend a Saturday afternoon.